Each year, field trips to demonstration sites are organised at farms in Poitou-Charentes and Limousin. These events, which focus on personal accounts by innovative farmers, provide an opportunity to show farmers and hunters examples of development projects that encourage biodiversity in bocage areas. 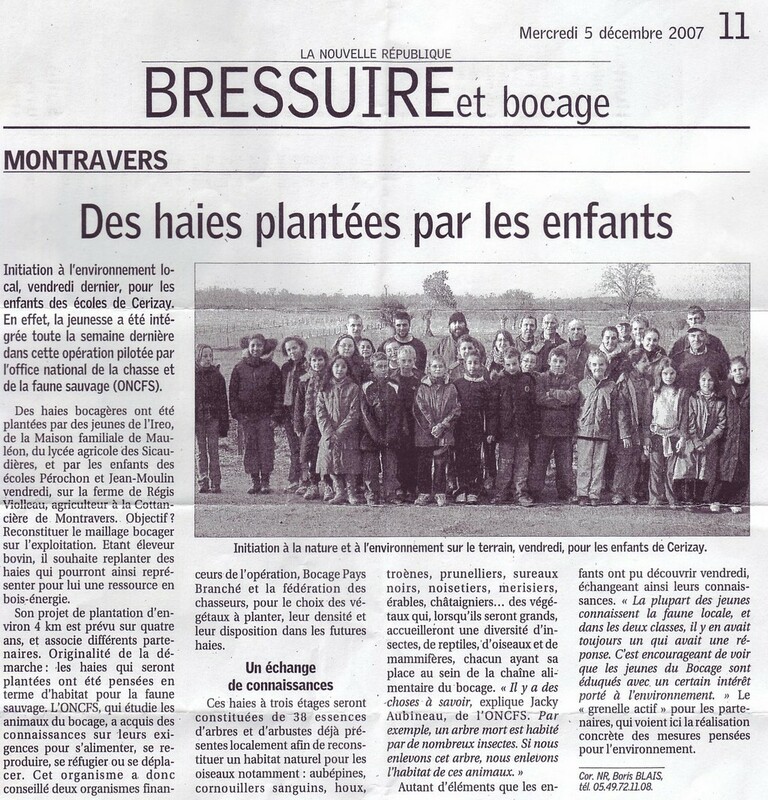 For example, in 2008 and 2009, various groups from the Lot, Dordogne and Haute-Vienne departments visited a pilot farm in northern Deux-Sèvres. 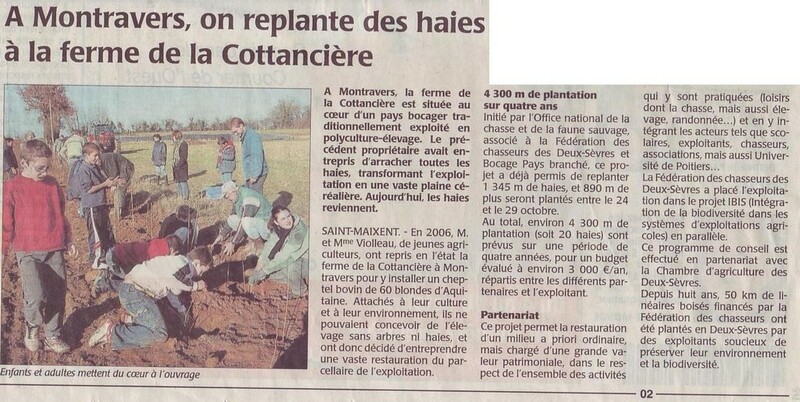 article describing a visit by farmers and hunters from the Dordogne to one of the farms participating in the Agrifaune network. Hedge-planting events are organised, to teach youngsters about the environment and conservation issues and foster a culture of respect for our natural surroundings.